ALLEGRA BOVERMAN/Staff photo. Gloucester Daily Times. 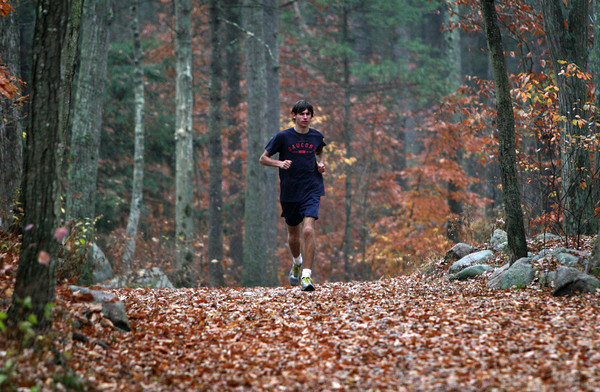 Gloucester: Noah Mondello of the Gloucester High School cross-country team, preparing in Ravenswood Park, for the All-State meet this Saturday.